Doctor Formulated Vitamin C Complex with Zinc, L-Lysine and Bioflavonoids. Superior quality in class for Immune system support. This fundamental hypo-allergenic nutritional complex should benefit many people who are looking for an ultimate product to support immune system and provide powerful antioxidant benefits. Brilliant C Plus can be safely combined with other supplements of anyone’s daily regimen. “Brilliant C Plus is a very unique and powerful complex that comes with Vitamin C, Bioflavonoids, Zinc and L-Lysine. 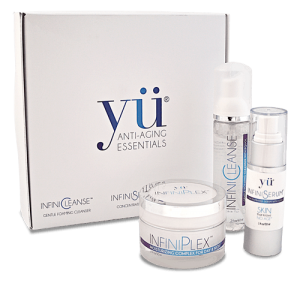 Its main job is to support immune system and provide powerful antioxidant benefits.” – Aleksander Kanevsky, D.C. Produced in small quantities to preserve freshness and guarantee best quality. BUY with CONFIDENCE! Our professional staff provides unparalleled service. 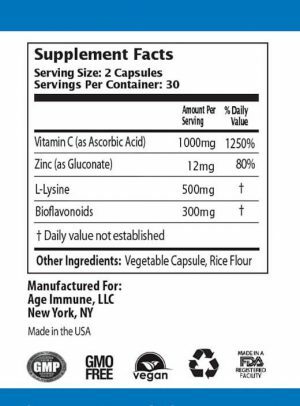 Serving size: 2 Capsules Servings per container: 30 Vitamin C (as Ascorbic Acid) – 1000mg, Zinc (as Zinc Gluconate) – 12mg, L-Lysine – 500mg, Bioflavonoids – 300mg Recommendations: As a dietary supplement, take 2 capsules daily, with meals. I have tried about 10 different brands of Vitamin C last flu season and, frankly, nothing worked, as I expected. My son brings home all kinds of viruses from school, and I catch the most of them from him. I noticed, that since I started to take Brilliant C Plus, I didn’t get sick once, however my son just returned to school after spending a week home with cold. I guess I made a right call and chose a complex with L-Lysine, Zinc and Bioflavonoids. Great blend, fingers crossed for a flu and cold free winter. 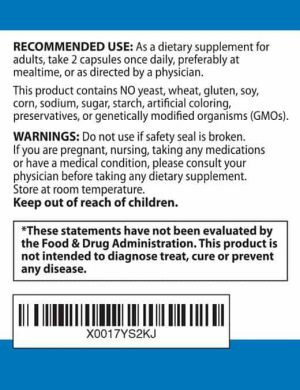 I am very pleased with this product as its the only product I have found with these particular ingredients all in one capsule. It’s easy to swallow and made with top notch quality ingrediants. I’ve bought this product several times and intend to keep on buying it (unless something better comes along). I like it a lot. It has helped build my immune system back to the point where I’m reasonably healthy again. This is the only formula that has actually prevented me from getting sick twice in the last 2 months!! It is great to finally purchase a product that truly works. With the flu epidemic and using mass transit daily this product has been my daily dose this entire winter and I haven’t been sick once. In addition, it has reduced the aches and pain I feel in my arthritic knee during damp & cold weather. I am 71 years old and I take a lot of different supplements. Brilliant C is truly brilliant. Works for me just as described. I am cold sores free ever since I started taking it. No need for anti-viral medication. What a saving! The capsules are easy to swallow and don’t smell. I am enjoying reaching for my glossy bottle twice a day to take a magic pill. I have been taking this for a few months. I just recently was in the sun for a very long time and didn’t use sunscreen. Normally I would have gotten a cold sore, but I did not. Burnt the heck out of my face. I contribute not getting a cold sore to this vitamin. If I forget sunblock on my lips, I almost Always get a cold sore. If you are prone to cold sores, I recommend taking this stuff!! !